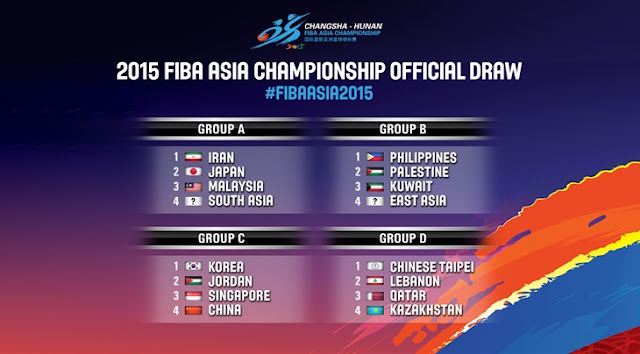 Check out the FIBA ASIA 2015 results and schedules. 2015 FIBA Asia championship will be held in China from September 23, 2015 to October 3, 2015. Winner of this event qualifies for the 2016 Summer Olympics while the 2nd, 3rd and 4th placer will under go FIBA World Cup Olympic Qualifying Tournament. Games will be held at Central South University of Forestry and Technology's gymnasium, Changsha and Central South University of Forestry and Technology's gymnasium, Changsha.